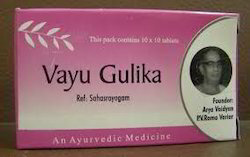 Wholesale Trader of a wide range of products which include arya vaidya pharmacy, ksheerabala (101) soft gel capsules, avp dhanwantharam 101 soft gel capsules, avp vayu gulika medicines and arya vaidya pharmacy, arthrojith capsules. This process increases its potency tremendously. Its properties are emollient, cooling, strengthening, anti-rheumatic, nervine, anti-inflammatory and analgesic. Traditionally used for arthritis, numbness, injuries, insomnia and nervous disorders. One – Two Capsules twice daily or as directed by the physician. 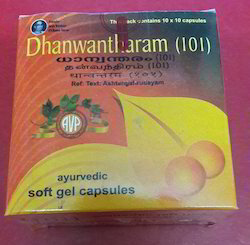 Highly effective in all kinds of rheumatic ailments, ideal or pregnant ladies/ post- natal mothers. Neurological & Rheumatic disorders. Pre and Post natal care. Rheumatic complaints related with bones, sprains, fractures etc. With our in-depth knowledge and rich industry experience in this field, we are highly engaged in providing a qualitative AVP Vayu Gulika Medicines. Used to give instant relief in hiccups, asthma, cough, breathing problems, dyspepsia, hysteria, gas troubles and muscular spasm, offered medicines are processed using superior quality chemical compounds and progressive technology at vendors’ end. So as to ensure the quality, our quality examiners check these medicines on various parameters. 1 – 2 Tablets twice a day after food. 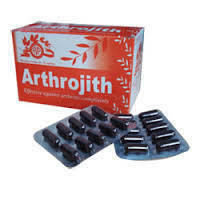 It is very effective remedy to cure pain and swelling related to Arthritis, joint’s pain, muscular pain and stiffness. Looking for Arya Vaidya Pharmacy Coimbatore Ltd ?